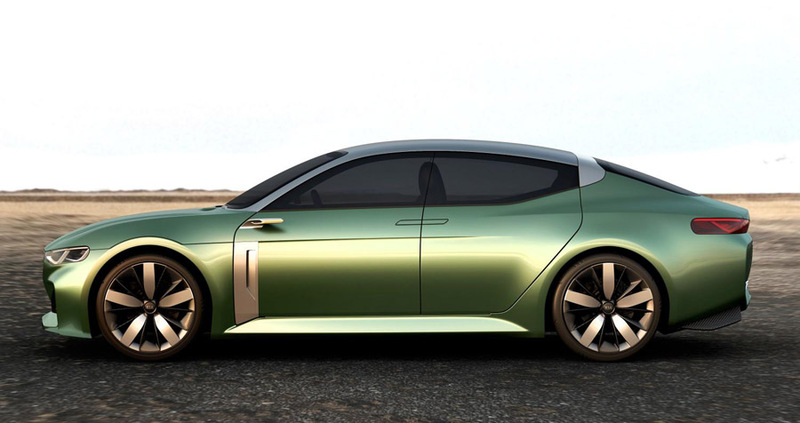 Taking its name from the Latin novatus, the Kia Novo concept delivers bold and exciting exterior styling with a relaxing, driver-focused cabin. Unveiled at the 2015 Seoul Motor Show, the Kia Novo and gives clear hints at future of Kia’s styling and strategy. Designed at Kia’s Namyang design center in Korea, on a specially-adapted version of Kia’s C-segment global platform, the Novo has a coupé-inspired silhouette. The smooth, geometric design of the car’s shape is blended with a series of sharp, decisive lines and forms around the body. The front of the Novo sports the latest interpretation of Kia’s hallmark ‘tiger-nose’ grille, now wider and more deeply embedded with new laser headlamps. Low, wide air intakes house additional laser headlamps, which frame the Novo’s bold face, emphasize its low, wide stance and give the car a unique light signature. The large front wheel arches lead directly into a strong, consistent shoulder line to meet the rear laser lamps, whose shape echoes those of the front for an identical light signature. The rear of the car uses prominent lines and low triangular exhausts to add greater width and volume to its shape and emphasize the car’s sportiness and on-road stability. The Novo’s sharply creased bodywork gives the car a clean, modern appearance when viewed from the side, with strong lines on the doors, skirts and aluminium wing vents. Rear-hinged doors complete the car’s striking profile appearance, with slim, central pop-out door handles running level to the finely-sculpted aluminium door mirrors. The Novo’s diamond-cut alloy wheels feature a similarly sharp design, made up of straight edges and two-tone carbon and silver finish. Completing the Novo’s thoroughly contemporary look are an aluminium rear roof line and two-tone silver and green paint finish. The Novo is powered by the latest high-tech production Kia powertrain to match its dynamic looks. A 1.6-liter ‘Kappa’ turbo gasoline direct injection (T-GDI) engine has been paired with the brand’s seven-speed DCT to power the front wheels. The result is decisive, sporty performance and impressive fuel economy. The interior is designed as a sanctuary where occupants can temporarily escape the stresses and strains of modern life. Kia’s designers went to great lengths to make it easy for drivers to keep their eyes on the road. The Novo’s instrument panel shows relevant information through a compact three-dimensional hologram display, while a ‘blind control’ touch pad next to the steering wheel allows drivers to control the car’s many functions without having to take their eyes off the road ahead. The touch pad incorporates a fingerprint scanner, which automatically sets up elements of the car according to the driver’s preferences. 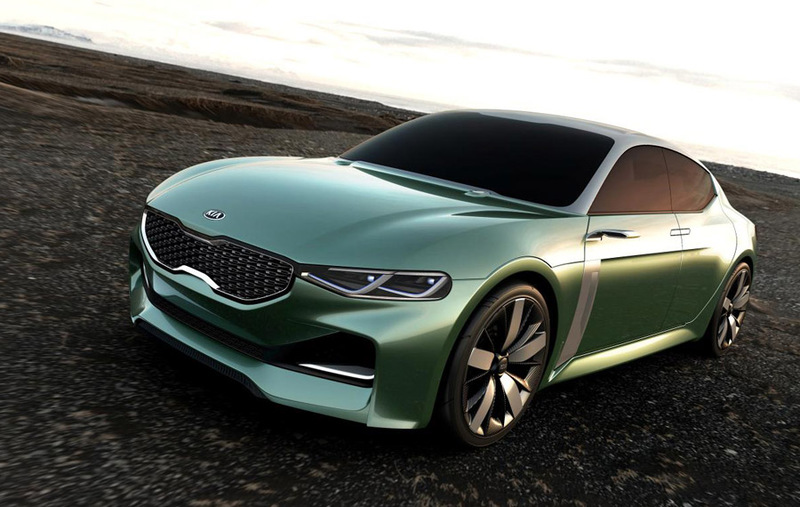 Although there are currently no plans to bring the Kia Novo concept to production, Kia has a history of delivering production vehicles that bear a strong resemblance to concept vehicles that precede them.